On the red carpet, runways and the silver screen, vintage is in. Or, more accurately, it never left! Inspired by all the retro style we’ve been seeing, Bridal Styles has created a collection of vintage bridal brooches, jewelry and hair accessories. 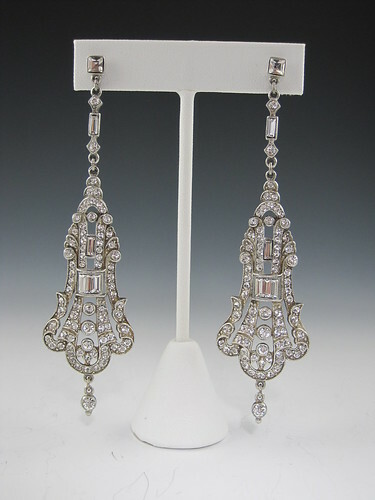 Our Art Deco inspired collection is custom designed, handmade, and encrusted with glittering Swarovski crystals. 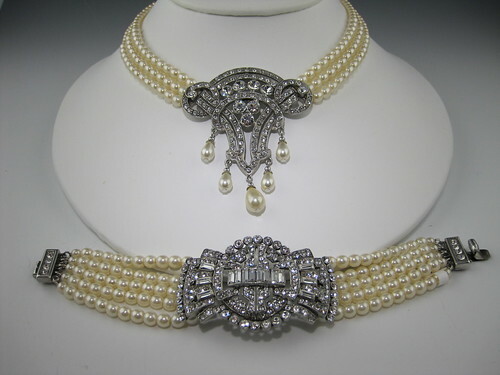 Oozing old Hollywood glamour, it’s perfect for a bride with vintage style who’s searching for unique heirloom quality jewelry. 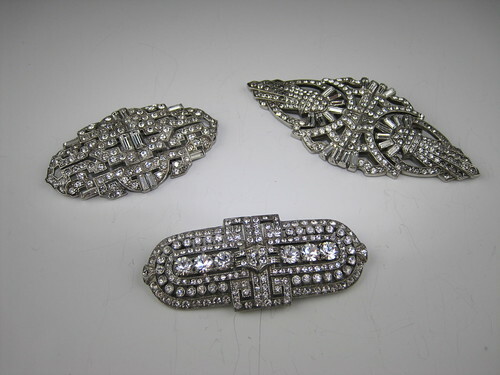 Since each piece is hand-crafted, they can also be made as vintage dress brooches or stunning bridal combs. Worn alone or paired with a birdcage veil to amp up the drama, our vintage bridal hair accessory collection is as versatile as it is gorgeous! Featuring emerald cut, baguette, round and pave set crystal stone detailing, each piece can be made either as a hair comb or brooch. 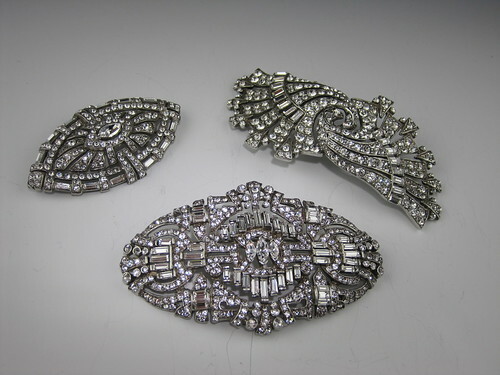 To see the rest of our one of a kind vintage collection of bridal hair combs, brooches and jewelry, visit us at our New York bridal accessory boutique! This entry was posted on Tuesday, February 22nd, 2011 at 12:09 pm	and is filed under Bridal Trends. You can follow any responses to this entry through the RSS 2.0 feed. You can skip to the end and leave a response. Pinging is currently not allowed. Wow! 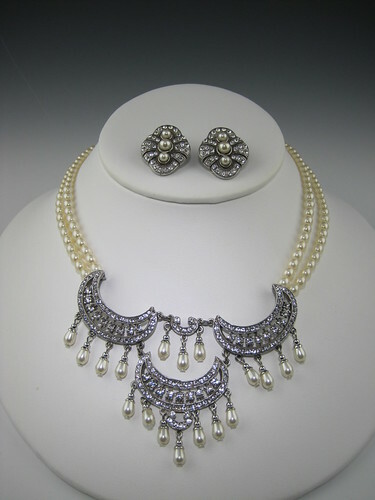 What a great collection.I love triple strand pearl necklace. Its dazzling. I’ll definitely buy this one for my fiance. I love vintage, but these look so heavy! Are they? 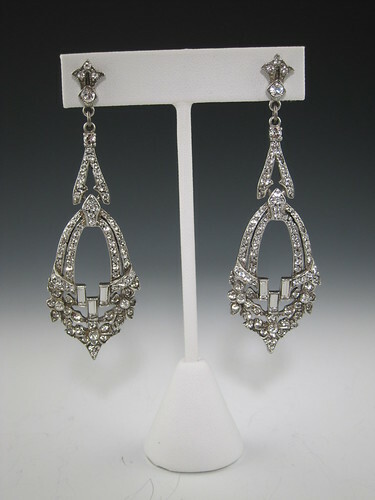 Hi Anita, all the pieces are very detailed and gorgeous but they are not heavy. They are actually quite comfortable. 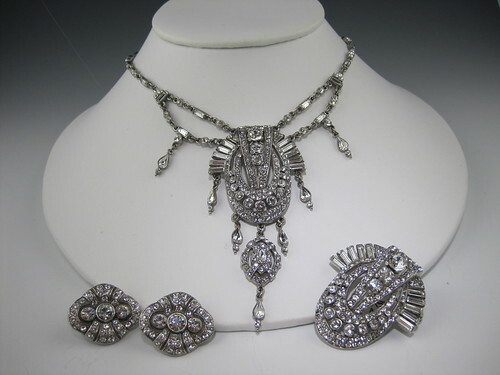 You are welcome to stop by our boutique, any time, to try any piece on.